In many ways, The Awakening of My Interest in Advanced Tax reads like a cross between a tax manual and a latter-day version of Catcher in the Rye. Wallace’s reputedly preternatural attention to detail and minutia is on full display throughout the narrative, particularly since his narrator is afflicted with an odd combination of OCD and malaise that leads him to count every word he hears without ever really understanding what any of them mean. Indeed, this curious manifestation of OCD makes the narrator somewhat of an outsider — or a “wastoid,” in his own words — cut from a pattern highly reminiscent of Holden Caulfield. Much of the narrative deals with the protagonist’s fraught relationship with his parents, a mother whose own personal and emotional issues make her ripe for consciousness-raising reawakening in the early 1970s, and a straight-laced father who wants nothing more than to see his son succeed through hard work and, for lack of a better phrase, the gumption he just doesn’t seem to have. His journey, then, is both personal and, in an odd way, spiritual, for as the narrator comes to grips with all of his own idiosyncrasies, a Damascene encounter with a substitute tax professor points the way to a new life for the narrator and a reconciliation of sorts with his father. The above revelations, by the way, aren’t spoilers, as Wallace reveals nearly everything relevant to his plot very early in this 177-page book, a strategy that frees him to riff on all manner of topics and to philosophize ad infinitum about the nature of humanity in the final quarter of the twentieth-century. 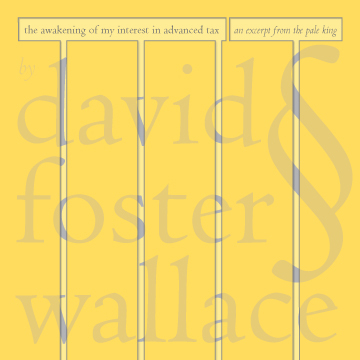 Engaging, quirky, and oddly spiritual, The Awakening of My Interest in Advanced Tax makes for an excellent introduction to Wallace. Note: All net proceeds from the sales of this book will benefit Granada House, a substance addiction-recovery facility in Boston MA. Residents of Granada House are provided a safe, stable environment in which to begin their substance-free lives, with supportive peers, counseling services, and a variety of integrative 12-Step programs. 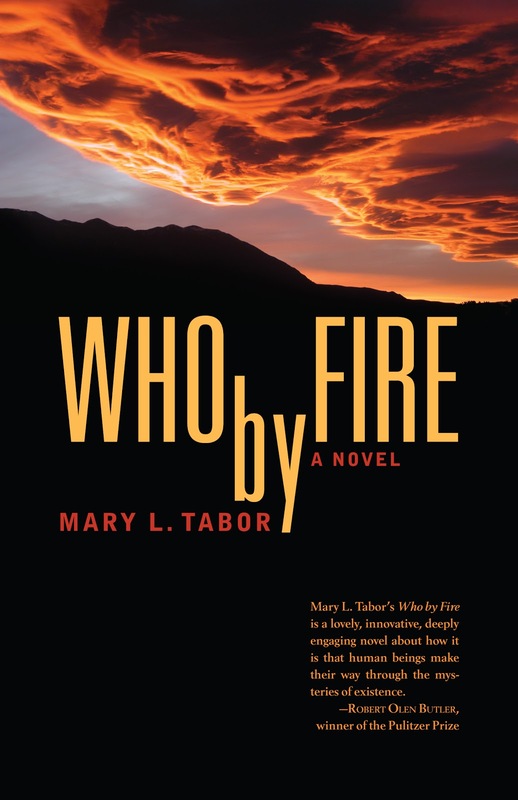 In Who by Fire, Mary L. Tabor offers a beautifully-wrought tale of love, mourning, and betrayal. The narrative is related by a widower named Robert whose wife, Lena, had been engaged in an extramarital affair shortly before her death. Grieving over the death of his wife and heartsick over her extramarital affair, Robert attempts to reconstruct the last months of Lena’s life so that he can better understand not only the decisions she made but also his own role in those decisions. What emerges is a rich tapestry that illustrates all of the ways in which the eternal quest for love and understanding manifests itself–our hunger for love, our desire to please, our triumphs and failures. Needless to say, a narrative of this nature calls for emotionally complex and compelling characters, and Tabor rises to the occasion. Robert’s quest to discover the “true” Lena leads him not only on a concurrent quest of self-discovery, but also to recognize the full humanity of everyone involved in her affair–including her lover, Isaac, and her lover’s wife, Evan. And while the journey to forgiveness is certainly not easy for Robert, it is both fulfilling and heartrending. 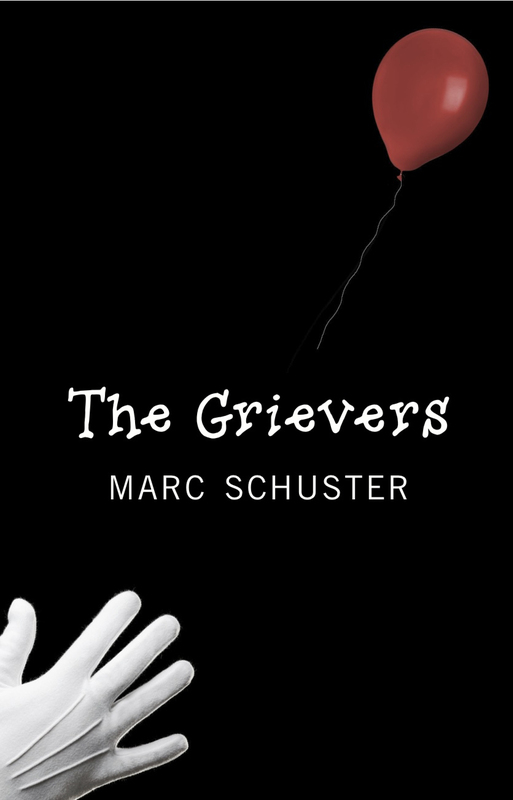 An excellent tale of love, longing, betrayal, and ultimately forgiveness. 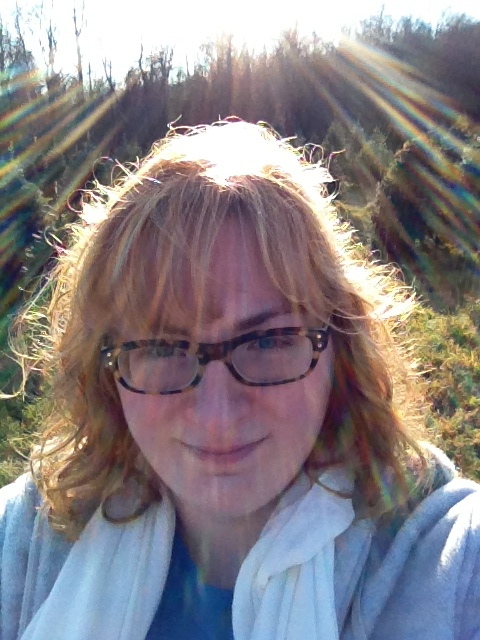 Kourtney Heintz writes emotionally evocative speculative fiction that captures the deepest truths of being human. For her characters, love is a journey never a destination. 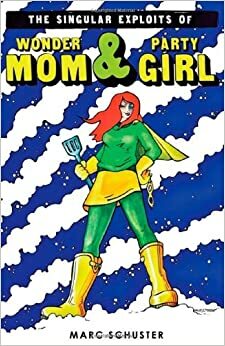 She resides in Connecticut with her warrior lapdog, Emerson, her supportive parents and three quirky golden retrievers. Years of working in financial services provided the perfect backdrop for her imagination to run amuck at night, imagining a world where out-of-control telepathy and buried secrets collide. Her new novel, The Six Train to Wisconsin follows the exploits of a telepath named Kai and her husband, Oliver, in their quest for a normal life. When Kai’s telepathy spirals out of control, Oliver brings her to the quiet Wisconsin hometown he abandoned a decade ago, where he must confront the secrets of his past to save their future. Marc, thank you so much for having my on your blog. I’ve been a follower for a while now and I’m so excited to be here! Glad to have you! You got pretty far in Amazon’s breakthrough novel competition. How did that experience shape your thoughts about writing in general and your approach to The Six Train to Wisconsin in particular? It definitely was a confidence booster. But I also realized I wanted to give my readers an experience they wouldn’t forget. So I took all the feedback and went to work on the manuscript. Around the same time, I got a revise and resubmit from a top agency. Two pages of editorial-style feedback. It made me more determined to revise until I had the best book I could create. I learned that if a reader has an issue, there is an issue but they may be incorrectly identifying the solution. Listen and mull over their feedback. Marinate in it before making any changes. Usually the stuff I’m most resistant to is either garbage or gold. But it requires a lot of time and effort to separate the two. As anyone who’s visited your blog might notice, you’re a very goal-oriented individual. Does setting goals and achieving them come naturally to you, or is it something that you’ve had to learn how to do? How does this practice relate to your writing, and how do you maintain a healthy outlook on those occasions when you don’t quite reach your goals? I’ve always been a Type A person. I think it’s why I gravitated into consulting and auditing as my career for a long time. I love planning and fixing. It definitely keeps me on schedule with my writing. My goal is always to meet or beat a deadline and the key to that is setting realistic goals and reasonable deadlines. Saying I’ll have an agent in a year sounds ambitious, but it also sets you up for failure. I tried that route once–very disappointing. Saying I’ll query 30-50 agents over this year is a measurable and attainable goal that doesn’t rely on any one but you to achieve it. When I miss the mark, I hold myself accountable. I beat myself up for a bit. But then I dust myself off and move forward. I examine what went wrong and figure out how to mitigate the problem going forward. If I didn’t properly set the goal or didn’t allocate the right amount of time for it, that’s something I can learn from and improve on the next go-around. As long as I get the bulk of things done and am constantly improving, I’m almost okay with the occasional failure. What is it that attracts you to writing in general, and what attracted you to The Six Train to Wisconsin in particular? Along similar lines, what made you stick with that project and see it through to publication? Writing is a great way to work through things. At the time, I never realize I’m doing it. But when I reread a scene months later I realize what issue was being worked out on paper. I also wanted to leave a legacy behind. Something important. Something worthwhile. Hopefully, my novel will be that. Six Train was the short story that wouldn’t let me be. I sat down and wrote a brief outline and realized I had a novel here. A novel that was dying to get out of me. I spent months pre-writing and making sure I wanted to spend years with this plot and characters. I did. I think it’s the best thing I’ve written. And all that positive feedback from the Amazon contest reinforced my belief that it was a story people would enjoy reading. That and agents kept saying it was beautiful writing, but not a NYT bestseller. So I knew indie was the best route for it. 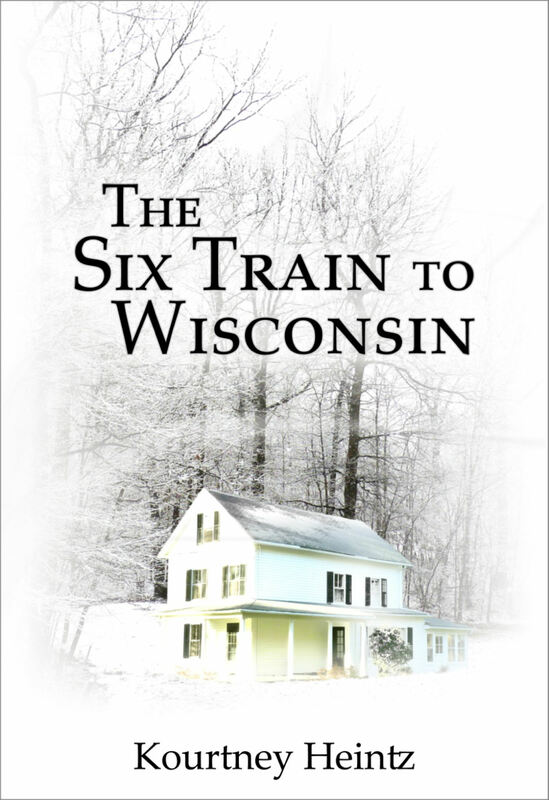 What have you learned from the experience of publishing The Six Train to Wisconsin? Do you have any advice for fellow writers who might follow in your footsteps? Make sure you are prepared to work 7 days a week. Being an indie author is a full time job. Promoting requires lots of planning and groundwork laying. There will be tons of rejection too. Hire people you trust–the will make all the difference during crunch time. And however long you think it will take, double that. What are you reading right now, and what do you like about it? I’m halfway through Audrey Kalman’s Dance of Souls. I really love Ms. Kalman’s writing style. You know you are in the hands of a master craftswoman as you read her book. Well, the book tour is taking up a good chunk of my summer and fall. I’m also going to be doing revisions for my YA time travel murder mystery, Reckonings. I’d really like to start drafting Six Train’s sequel this winter too. Thanks for taking the time to chat with us, Kourtney!